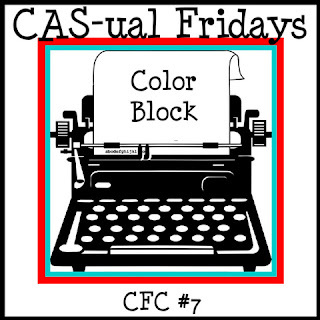 Welcome to this weeks CAS-ual Fridays! 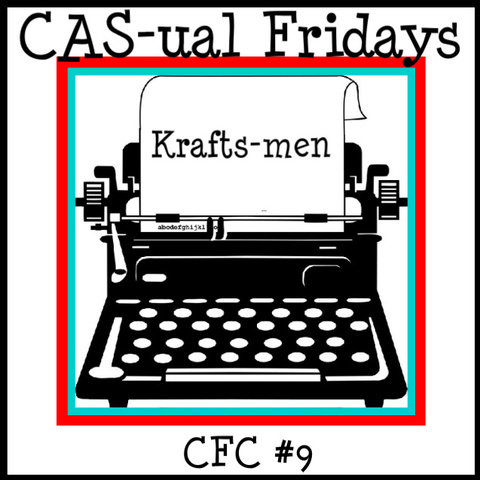 Today's challenge is to use kraft in your "guy" project! Easy to do right? I love kraft and really I use it in everything! I thought about a plaid golf shirt for this one! Added a few buttons and done...CAS guy card! ...the Kraft Outlet! Lots of fun stuff there!! Go check out the other DT girls too! A lot of krafty goodness to see there too!! Thanks for coming by! This first one is my favorite! 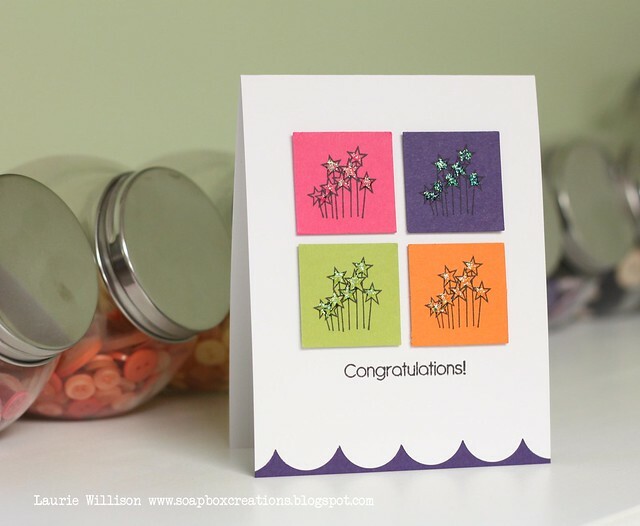 I love that Water Lily stamp! 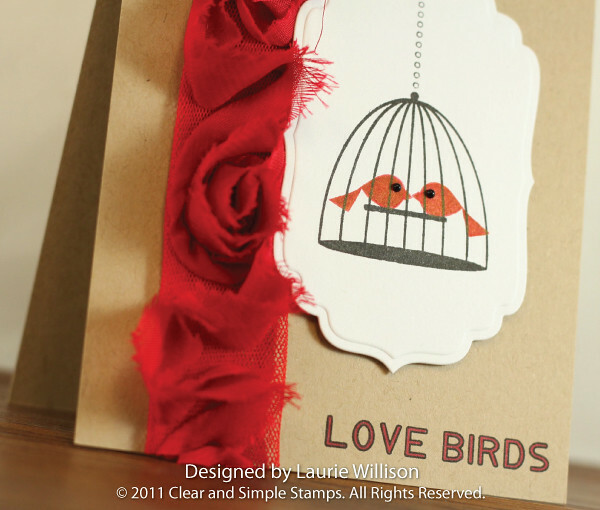 I stamped it 4 times on red card stock and then cut out each layer! Then popped them all up on foam tape for a gorgeous flower! 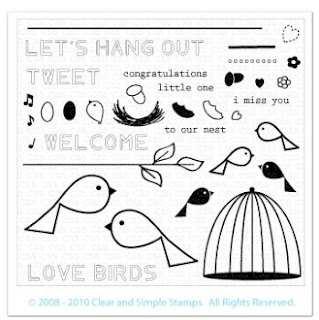 You can see all of the stamps I used in this card (minus the sentiment!)! If you can tell, I must have decided to go with a green theme too! It was after I had all the cards made that I realized this! LOL! 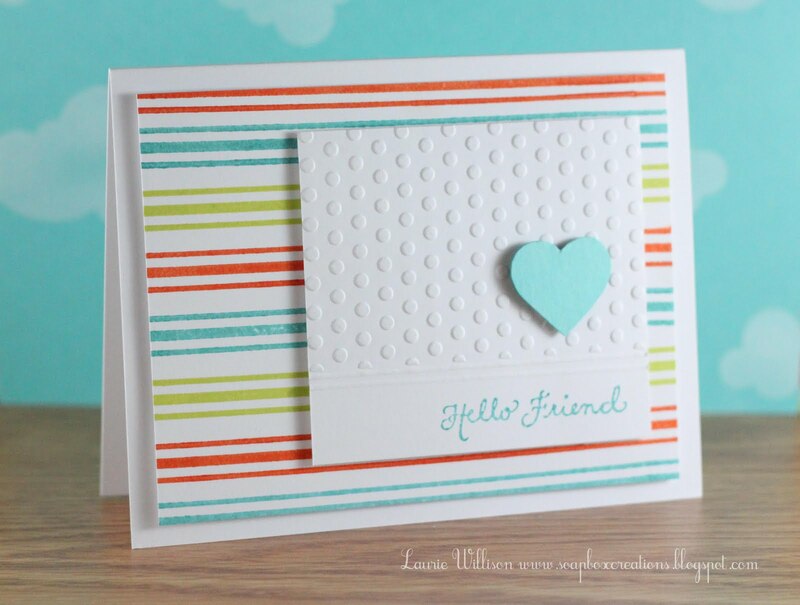 This card is a super simple card I made using DeNami textured card stock! 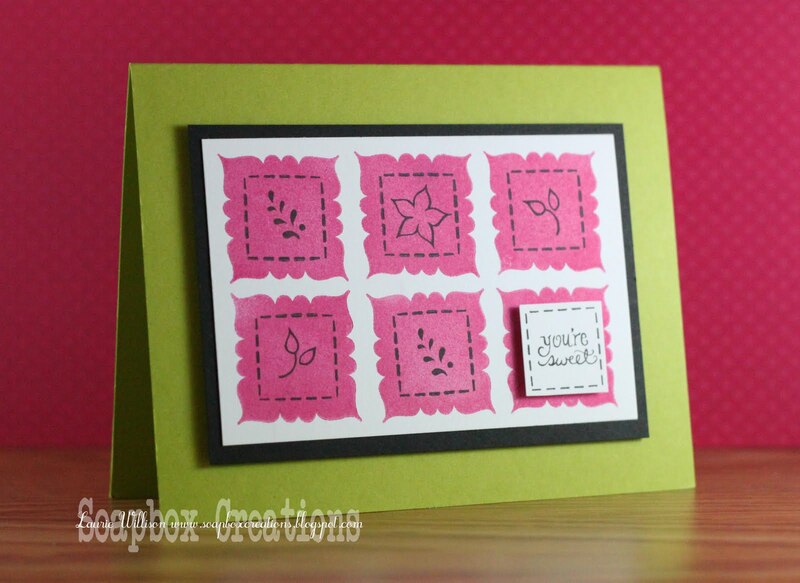 I stamped the sentiment and then stamped 3 flowers! 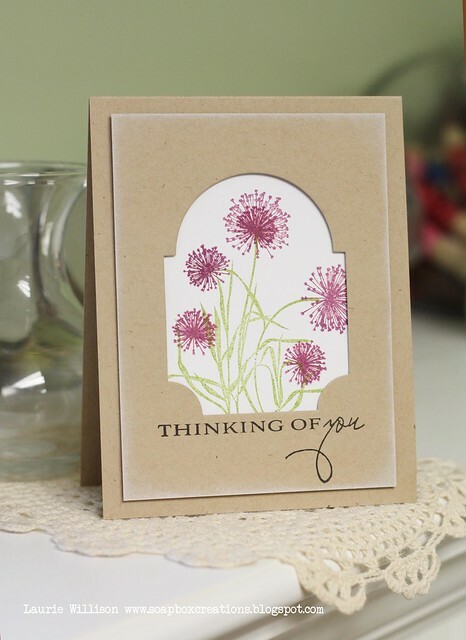 I stamped the same flowers in white and attached them to the card! 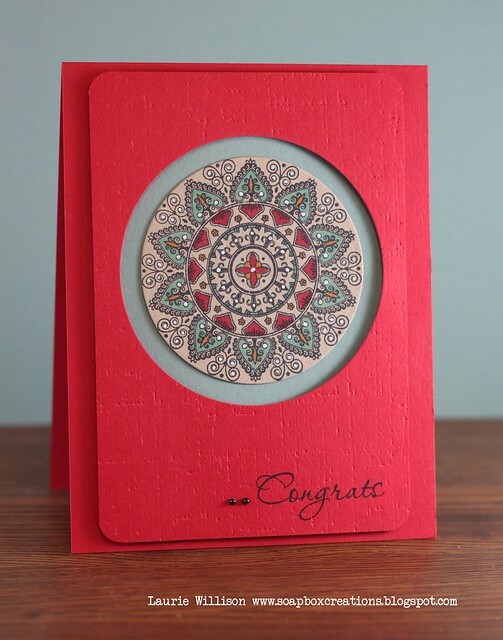 I added a little white gel pen to the centers of each dot and a red pearl to the centers of each flower! What do you think? This card was a fun one to make! 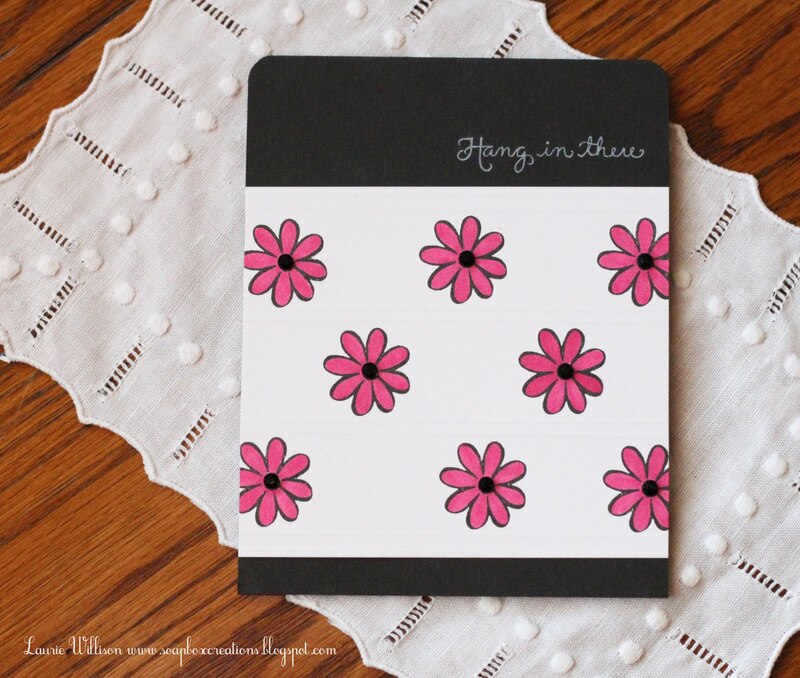 I stamped the flower image in a rectangle pattern using my SAMJ, and then added it to a layer of patterned paper on my card! I colored the flowers with Copics and added a little pearl in each flower! And one more for you today! This one I had a hard time with...just ask Paulina! LOL! But I think I finally got it right! 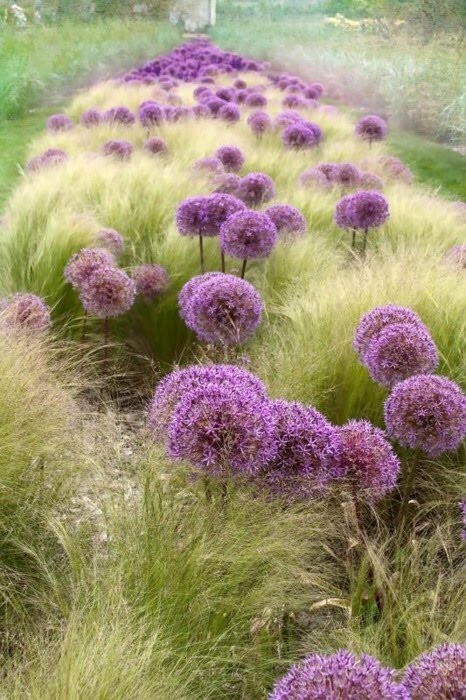 I love that little flower image for a border! 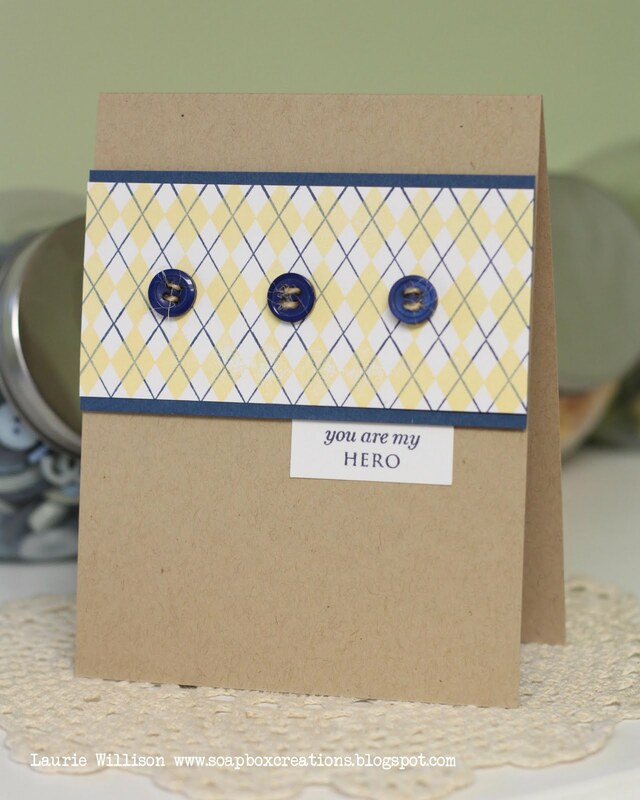 And these is such a fun color combo too! Well, that is it for you today from me! I want you to hop on over to the DeNami blog and see what goodies they have! A little giveaway going on! There are lots of ways to win and you can check that out when you visit! One way to win this giveaway is to leave a comment here! 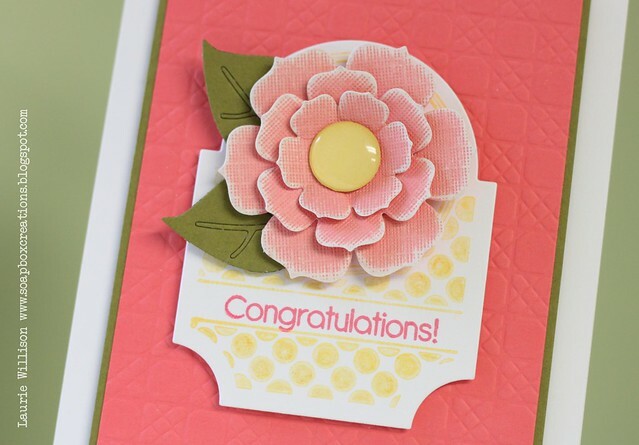 One random winner will win this set of Ornamental Flower stamps! Thanks for coming by! Have a great day!! OK so yesterday was the PTI blog hop and if you haven't stopped over you must! There are so many beautiful cards! 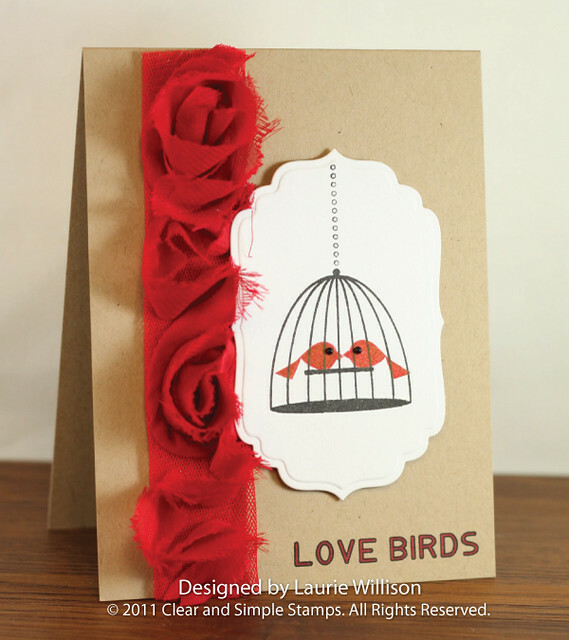 I found TONS of inspiration from fellow crafters! I woke up this morning...built it in my head as I was laying there staring at the ceiling...please tell me I am not the only one who wakes up thinking about cards...is that weird? Then I got up and whipped this out! I love the Botanical set! It is a set for all occasions that is for sure! OH...one more thing! For some reason, (and I have learned I am not the only one thank goodness!) blogger will not let me leave comments on blogs who do not have pop up commenting! I have cleared my cookies and tried all sorts of things with my computer and its really a no go for me! SO if you have any suggestions and have had the same problems too....let me know if you have found a solution! I hated to pass up so many blogs yesterday but as soon as I leave the comment, it says my comment is "anonymous" and then it deletes it! So weird! Thanks!! 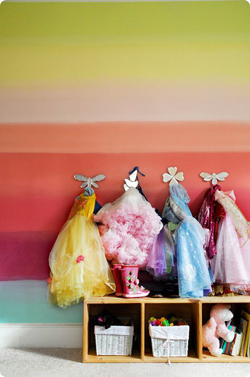 I used my Copic Airbrush and picked 8 Copic markers that I thought matched pretty well to the wall in the picture! Then I just sprayed some stripes and then added a little misty look with the brush tip of the Copic! I stamped the sentiment in True Black and added one of my favorite little embellies! I matted the whole thing with a piece of Hibiscus Burst and added the whole thing with some foam tape to a white card base! I can't wait to see all of the cards and all the different interpretations of this picture! If you want to see a full list and play along, go to Nichole's blog! She said the picture reminded her of a sunrise! SO cute! I love love that she likes to make cards with me! She told me she wants to be a card maker when she grows up...I am pushing for a Nurse like me...but hey! 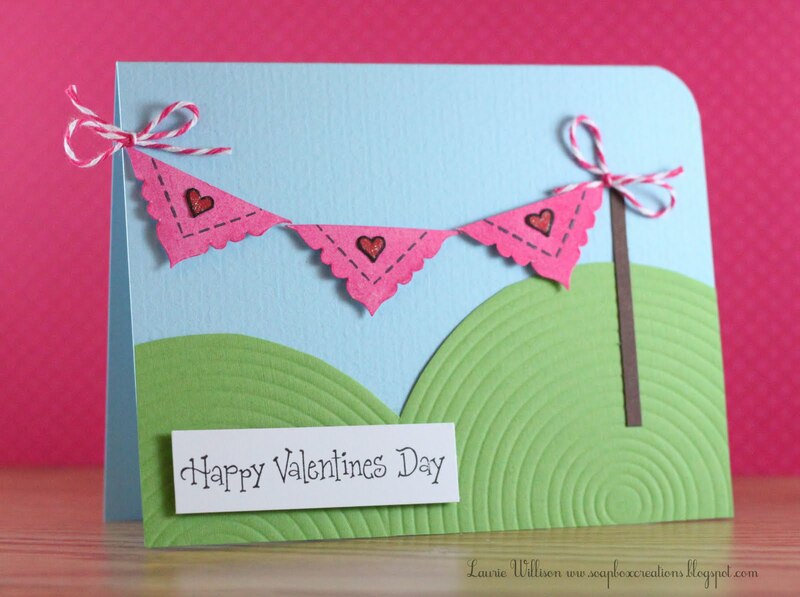 I am cool with making cards too! She is so fun! She even set her card up and took her own pics with my iPhone! So happy birthday girly!! How in the world did you get to be 7? Good Morning! I hope everyone is off to a great Friday so far! I am doing fantastic! I had HORRIBLE back pain at the beginning of this week and today it is GONE! Thank the Lord! I was able to sit in my craft room again yesterday and get crafty! 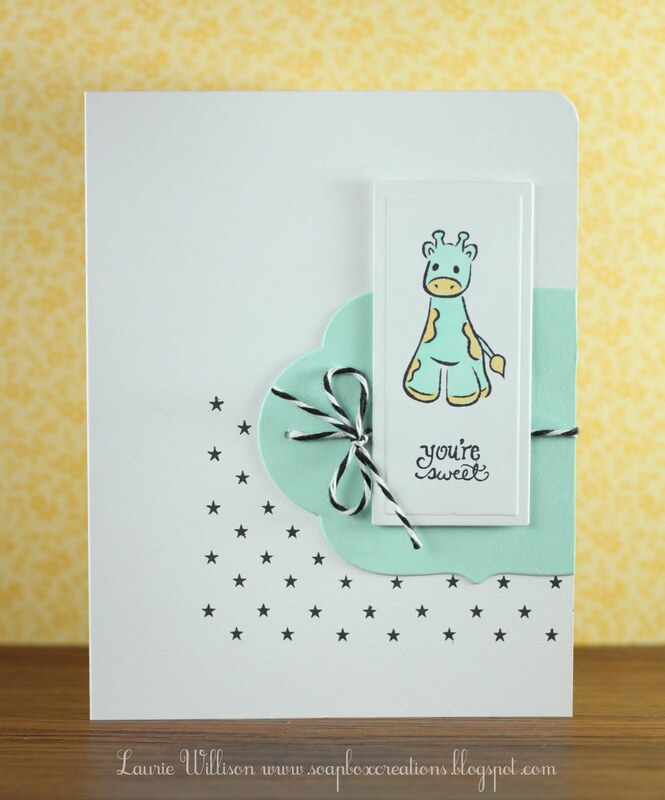 I used an adorable set from Market Street Stamps called Celebrate Cake...who by the way is our FABULOUS sponsor this week! 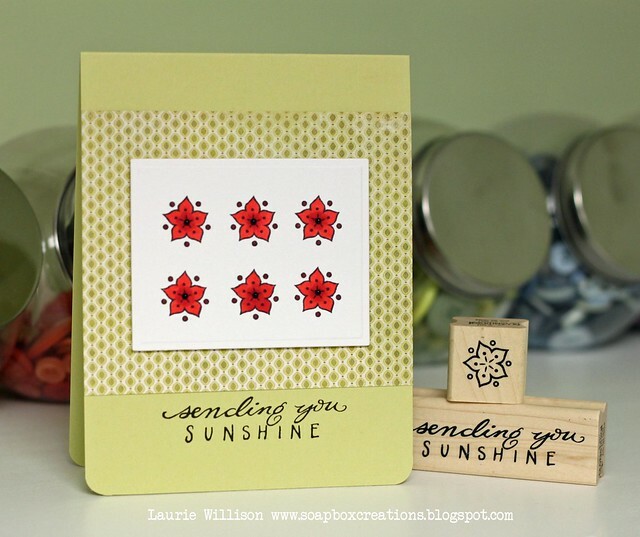 I stamped the star image 4 times, cut each of them out with a square punch and popped them all up on foam tape! I added Stickles to each for a little extra fun! 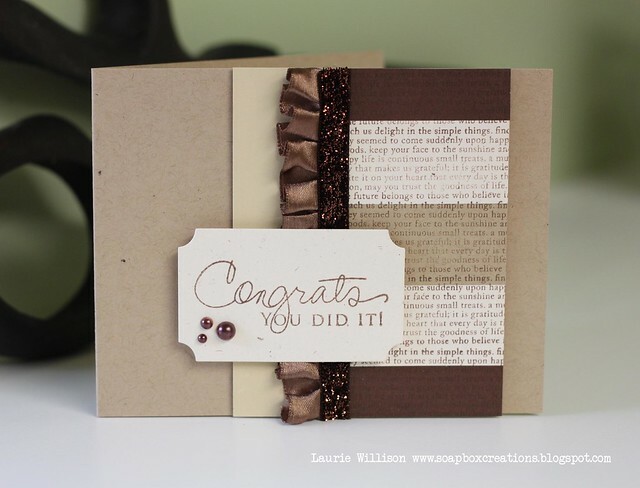 For my edge, I used an EK Success Scallop punch and then layered a 1" x 4 1/4" piece of cardstock behind it! Super easy! Click HERE to check out this weeks prize! 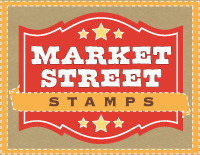 And don't forget to go to Market Street Stamps to check out their latest! Super cute for sure! 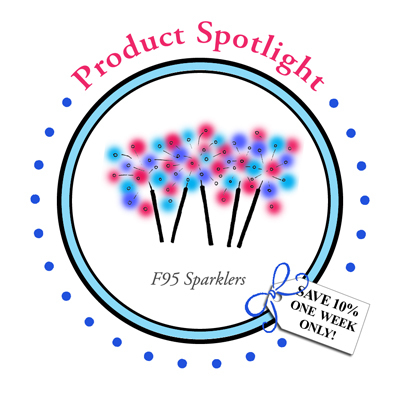 Today I am here with a DeNami Product Spotlight! 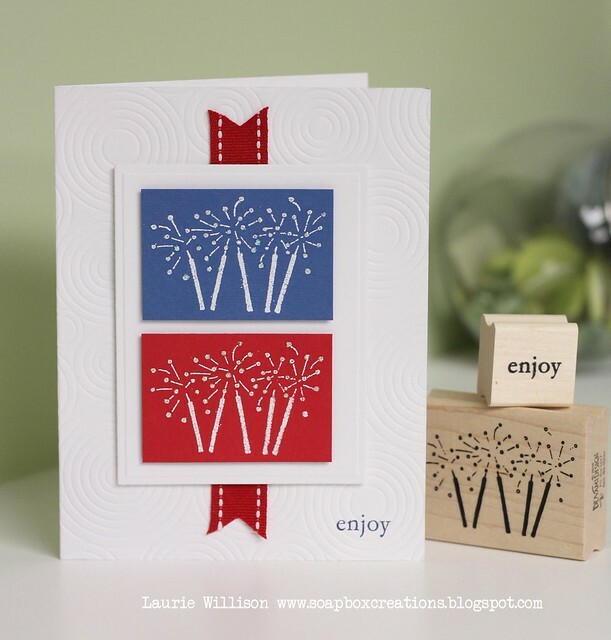 This stamp is super cute and just in time for 4th of July!! I stamped the image in Versamark on the red and blue rectangles! 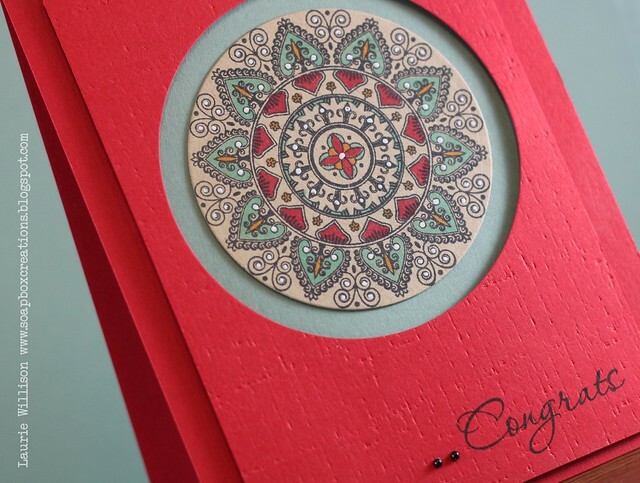 Then I added white embossing powder and heat embossed the image! I matted those images with a Nestie rectangle and tucked some ribbon behind the focal point before I attached it to my card base! OH and the tops of the sparklers are Stickled for a fun effect! Just wanted to pass on some exciting news! I have been so lucky to be apart of the DeNami Design Team now since January of this year! I was thrilled when the sweet Paulina asked me to stay on but I was so worried about being able to give 100%! This summer is b.u.s.y. with lots of fun kid stuff and other responsibilities! SO she asked me to be a Contributing Designer! And of course I said YES! This allows me some extra time for other things but I still get to be apart of this fabulous team! I was just thrilled she wanted to keep me around! 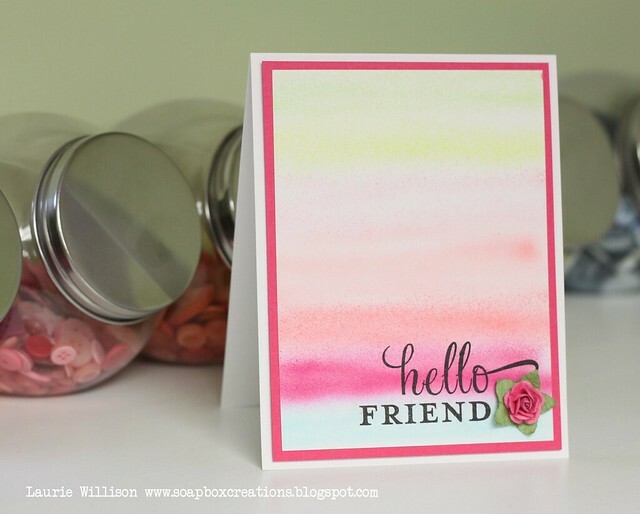 I am super excited to be able to continue creating with the fabulous DT and the newest girls...one of my sweet blog friends, Dana, and fellow Stamping Royalty, Amber! I just wanted to leave you with a few of my favorite DeNami cards from the past 6 months! Stay tuned this week, too, because the newest release is going to be unveiled! We have lots of fun samples to share! Thanks for much for coming by today! Have a great day! 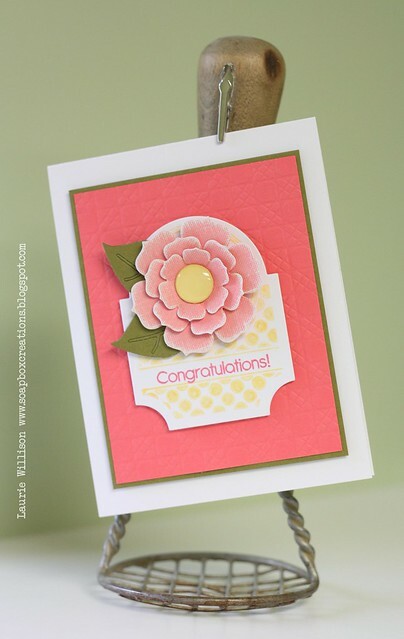 It is actually what I call a "monochromatic color block" challenge card! I took those 5 blocks and attached them to a larger mat and then stamped PTI's Text Style down the front! I used Scor-tape to attach the ruffle and the sparkly ribbon! Then I popped that up on foam tape and added the sentiment which is popped up on more foam tape! I really love dimension in cards! It adds so much! SO, this weeks sponsor is Crop Stop! Be sure and stop over to the CAS-ual Blog to see the prize! You know its a fun one! There is also lots more color blocking going on with all the DT girls! Stop by and leave some love! Thanks for coming by! Have a great CAS-ual Friday!